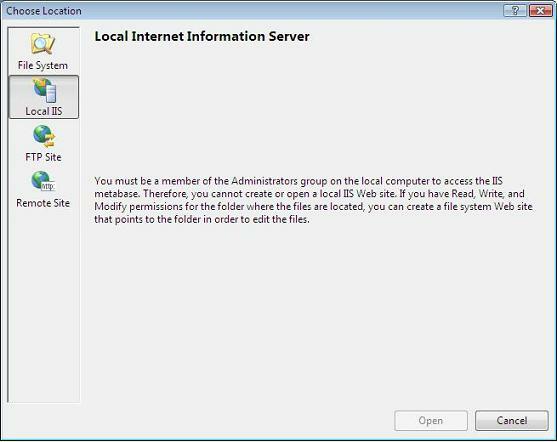 In this article, Scott examines how to work with Internet Information Services 7 on Windows Vista with Visual Studio 2005. Note that this is needed even if your user is already in the administrators group if you have UAC enabled (which is on by default with Vista). 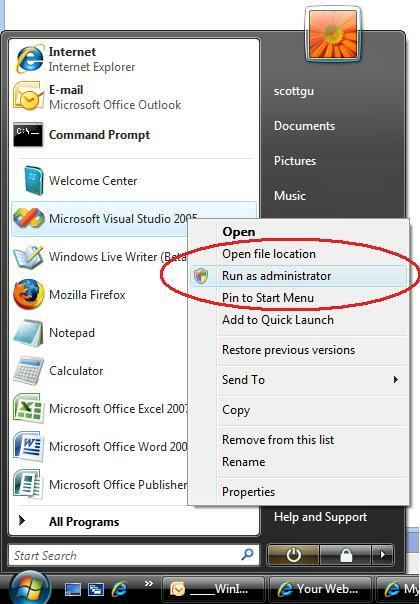 If you disable UAC (which you can also do via the control panel), then this second step isn't required. Running VS 2005 with "elevated" privileges won't be required if you use the built-in VS 2005 Web-Server (since it has reduced privileges already). 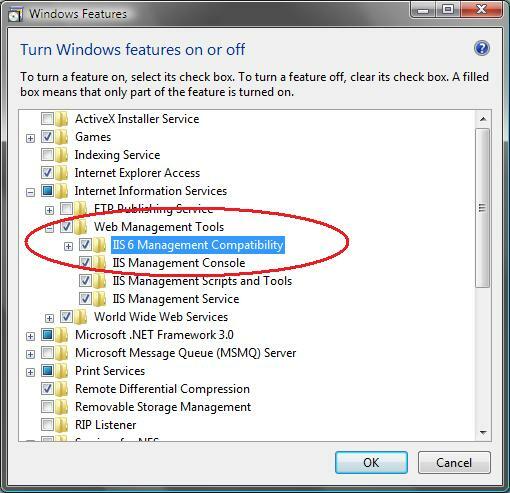 It is only required when connecting and running/debugging with IIS locally. We'll be updating Visual Studio 2005 to have more accurate error messages to help guide you to the above steps more naturally in the future. Until then, just use the above steps and you are good to go.